Task 0: Read This First! These instructions are intended for users who are not developers, have at best a beginner's familiarity with command lines, but who have a reasonable attention span and can read and follow instructions precisely. 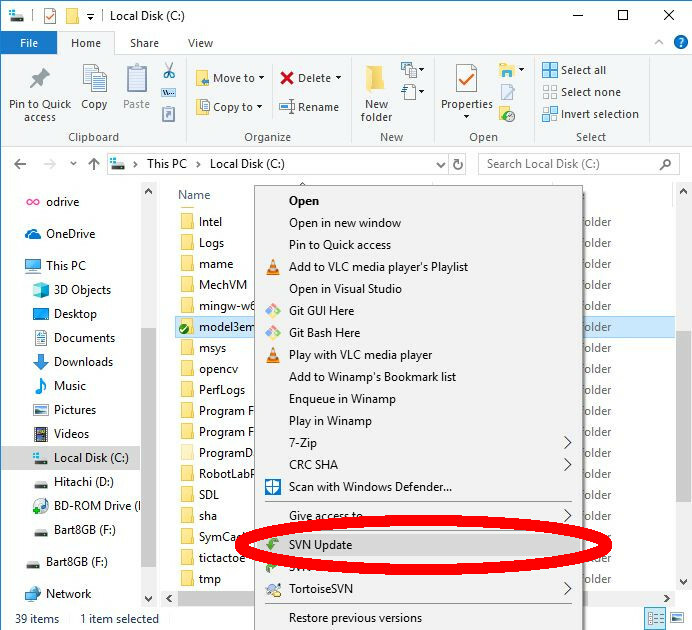 Please follow all steps exactly as shown here and use the exact same folder names everywhere or the procedures will not work. This all may look daunting but Tasks 1-6 only need to be performed once. Pulling the latest source code and building Supermodel will then only consist of Tasks 8 and then 7. It is highly recommended that before embarking on Task 1, you read through all of the instructions once, even if none of it makes sense. Having a "bird's eye view" of the entire process will make the individual steps a little bit more comfortable to process. 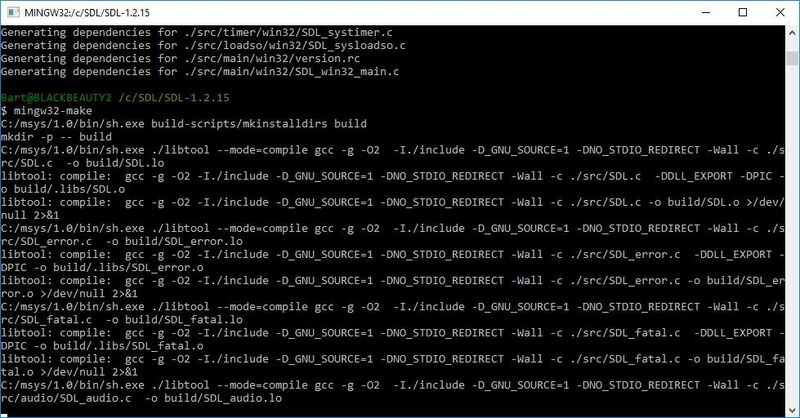 The preferred compiler for building Supermodel on Windows is GCC (GNU Compiler Collection). GCC was designed with UNIX systems in mind but there is a project, MinGW (Minimalistic GNU for Windows), that provides working, native ports of GCC for Windows. We will install one of these. We are after MingW-W64-builds, circled in the picture. 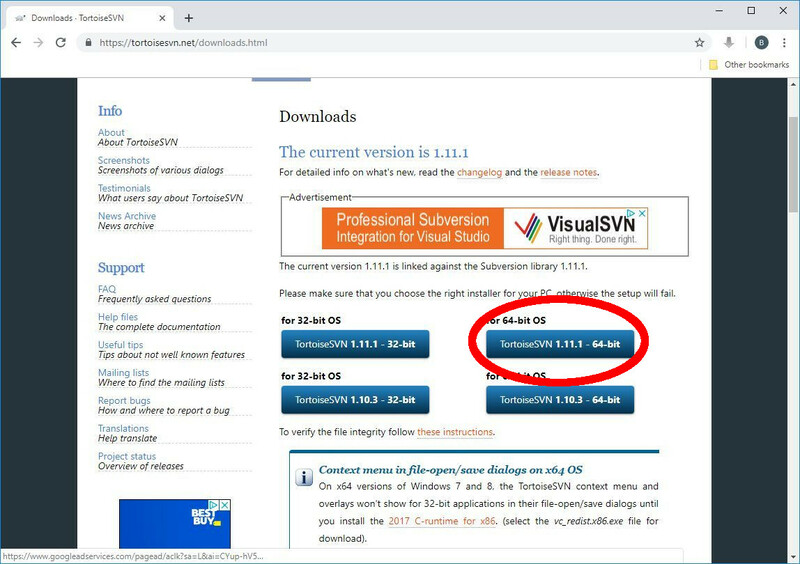 Click on that and then click on the Sourceforge link, circled below. 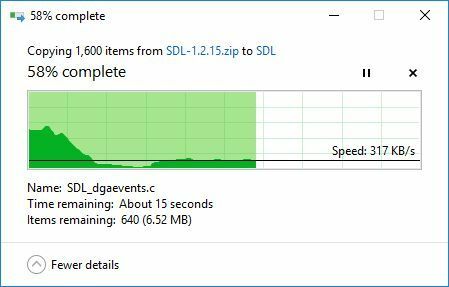 This will take you to a Sourceforge page that will automatically download an installer executable named mingw-w64-install.exe. Run the installer and you should immediately be prompted to click Next. Do so and you will soon see a settings screen like below. At the time of this writing, the latest available version of GCC is 8.1.0. You can try to proceed with a newer one or, to be on the safe side, revert to 8.1.0. Make sure you change the settings so that they match the screenshot above! Then click Next to proceed. Click Next when the folder name is correct and the installer will download the correct build and begin installing. If there is an error downloading the build package, you will unfortunately have to retry from Step 2 onwards, possibly waiting a few minutes before re-attempting. There appear to be intermittent issues with Sourceforge servers. Once the installation is complete, click Next to finish and the installer should exit. Open File Explorer. We will be doing this a lot. There are two ways to do this. First, you can open your Start Menu and type File Explorer, as shown below. The second method should take you directly to your C: drive. The first method will not. You will have to locate the C: drive in the left pane, as shown below, and click it. Then, locate the mingw-w64 folder. Run mingw-w64. 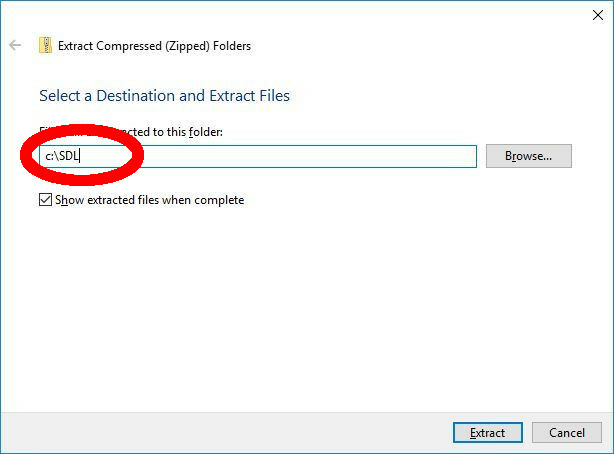 The .bat suffix will be missing on your system if you do not have file extensions visible (few people do). If a web page pops up, you've chosen the wrong file. Try the other one and you will see a Command Prompt window. 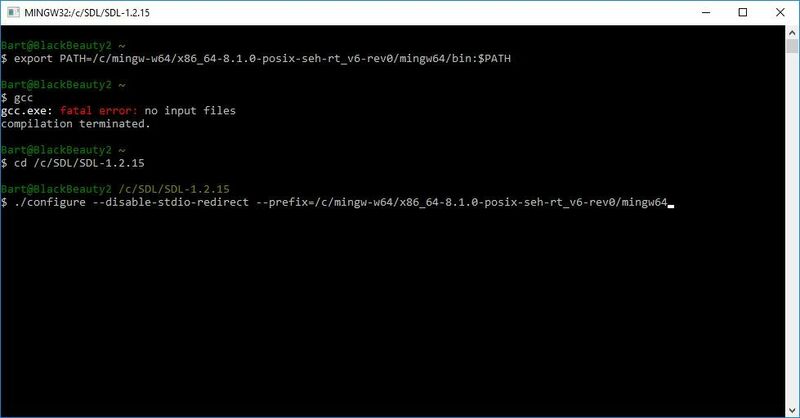 This is just an ordinary Command Prompt but with environment variables set up so that MinGW-W64 can be run in any location. Verify that GCC is installed by typing gcc and pressing Enter. If you see the above output, the installation was successful. Keep this window open for now. We will return to it later. MSYS is a collection of GNU utilities, including a UNIX-style command prompt interface, that allows UNIX-style projects to be built. We will use it to compile the SDL library that Supermodel requires. Working MSYS versions are hosted by the MinGW-W64 project. Click here to go to the download page. Click Extract when you changed the destination to match the above image and you will see a progress indicator. The extracted contents, located in C:\msys, will be shown in a File Explorer Window. Leave this window open. We will return to it later. Now for something a little more challenging. zlib is used by Supermodel to decompress ZIP files. We must use GCC to build a zlib library file that Supermodel will link against. Go to https://zlib.net and scroll down a little until you see download links for the current release of the source code. At the time of this writing, the most recent version is 1.2.11. Download the ZIP file, as shown above. Click Extract when the destination matches the above image and you will see a progress indicator. When finished, you will see the extracted sub-folder in the C:\zlib folder. 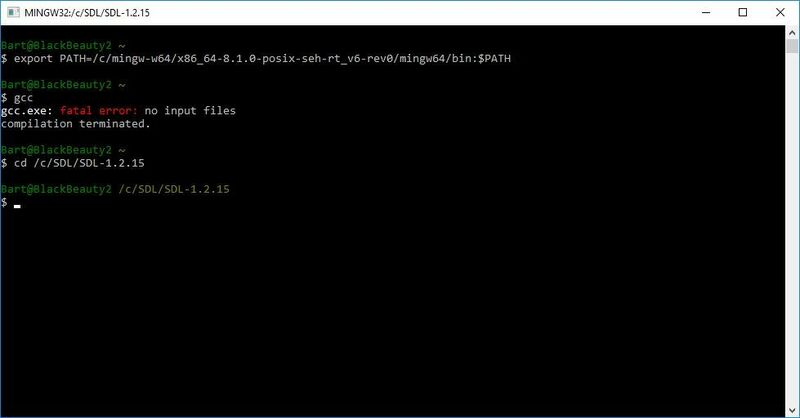 Return to your MinGW-W64 Command Prompt window and type the following commands. Press Enter after each. You will see several files being compiled. 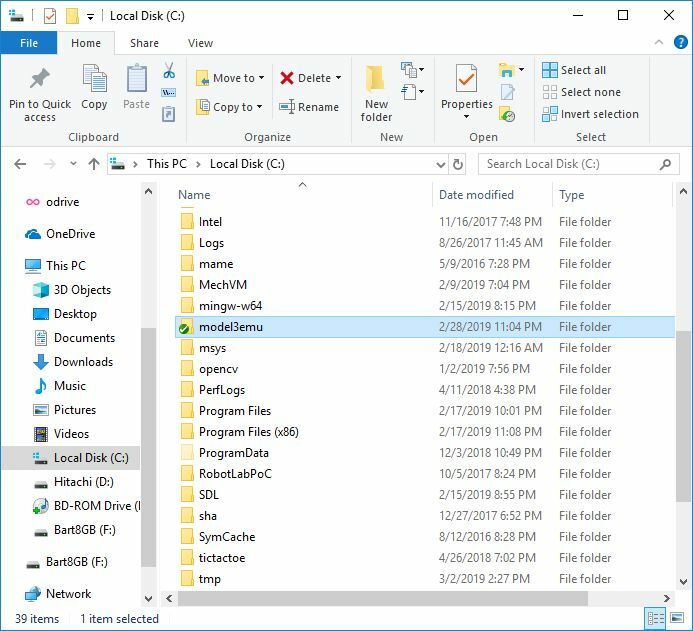 While these two files are highlighted, press the Copy button in the toolbar or press Control and C.
Open a new File Explorer window and navigate to C:\mingw-w64. 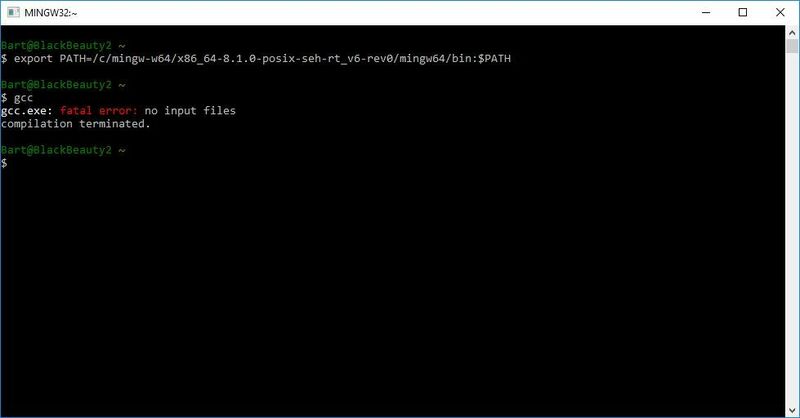 Then enter the x86_64-8.1.0-posix-seh-rt_v6-rev0 folder. Return to the zlib folder from where the header files were copied and locate libz.a. There should only be one file named libz. On my computer, it is erroneously identified as an Snex9x ROM. Select the file and click Copy or press Control and C.
zlib is now ready to be used in Supermodel. That wasn't so bad, was it? 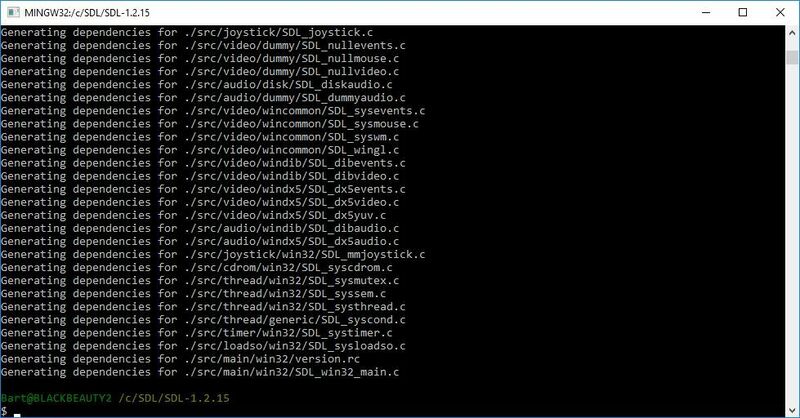 SDL is a simple game library that provides video, audio, and control routines that work on many different operating systems. 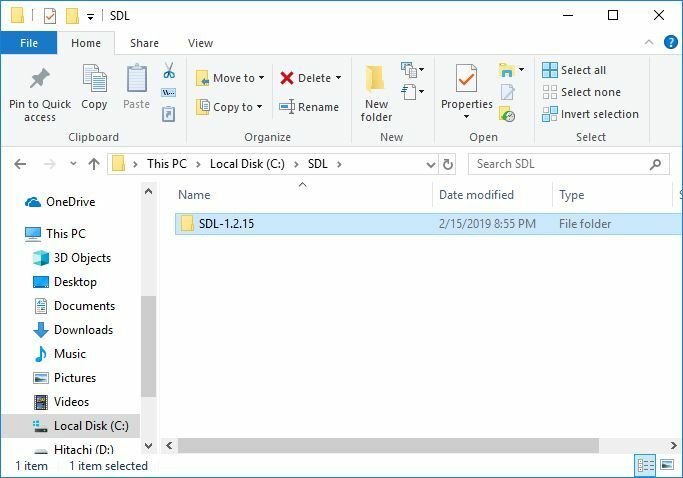 SDL is why Supermodel can easily be compiled for Windows, Linux, and Mac OS. 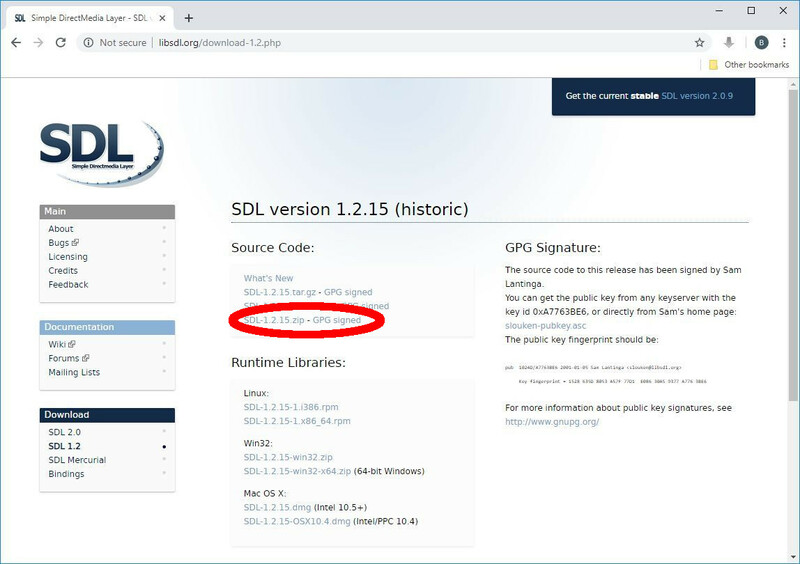 Supermodel still uses the older SDL 1.2 library. 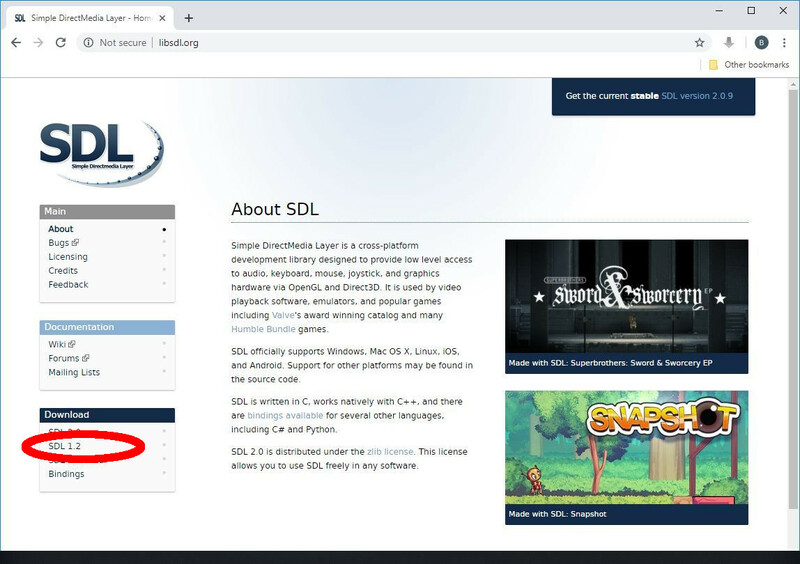 Go to https://libsdl.org and look for SDL 1.2 in the Download box on the left. Download the source code ZIP file, not the runtime libraries nor the development libraries. 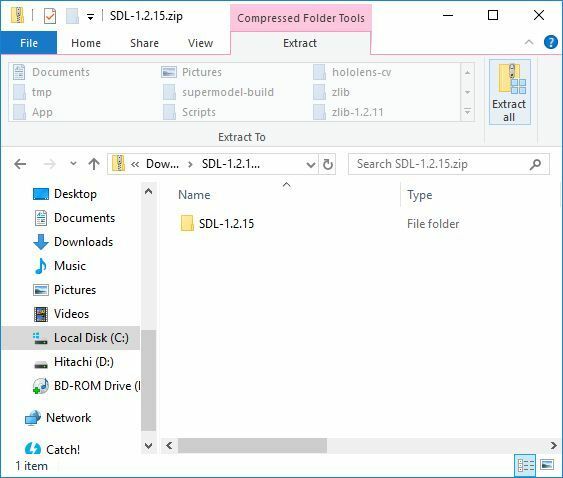 When finished, you will see the extracted sub-folder in the C:\SDL folder. If instead you get an error saying "command not found", carefully re-type the export statement above and try again. Press Enter and you will see the configuration system go to work. More output will appear and after several seconds, the process will be complete. 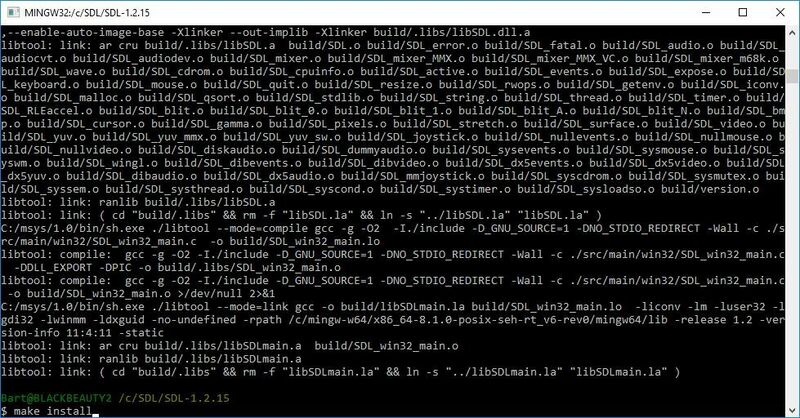 The SDL libraries are now installed and ready for Supermodel to compile against! We are done with the MSYS window. You may close it now. The Supermodel source code is stored in a Subversion (SVN) repository. 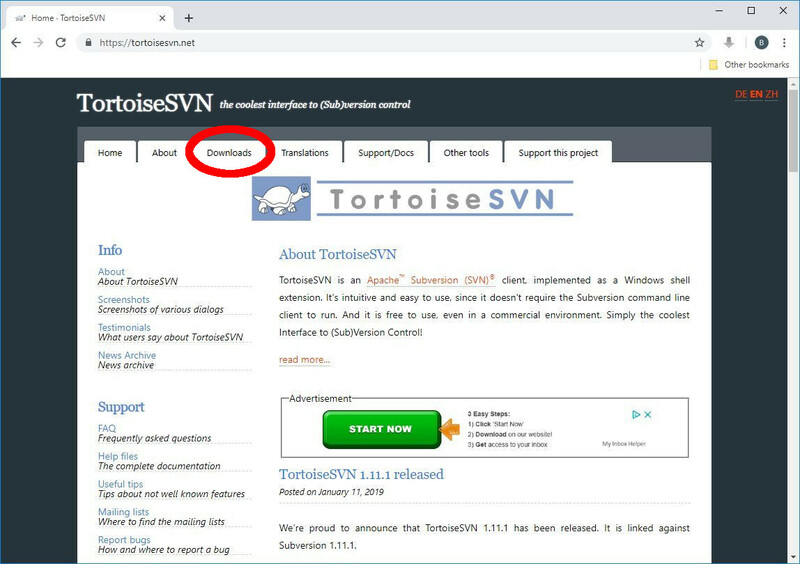 TortoiseSVN is a popular SVN client that we will use to check out and update the Supermodel source code. Go to the Downloads page and find the latest version near the top. Choose the version appropriate for your OS (since this guide assumes a 64-bit OS, download that one if you are unsure). Run the installer you downloaded in the previous step. Click Next to proceed and use the default installation settings. We must now obtain a snapshot of Supermodel's source code straight from the SVN repository. In the future, we will merely have to pull the updates. We will check the source code out into a folder directly on the C: drive. Open File Explorer. 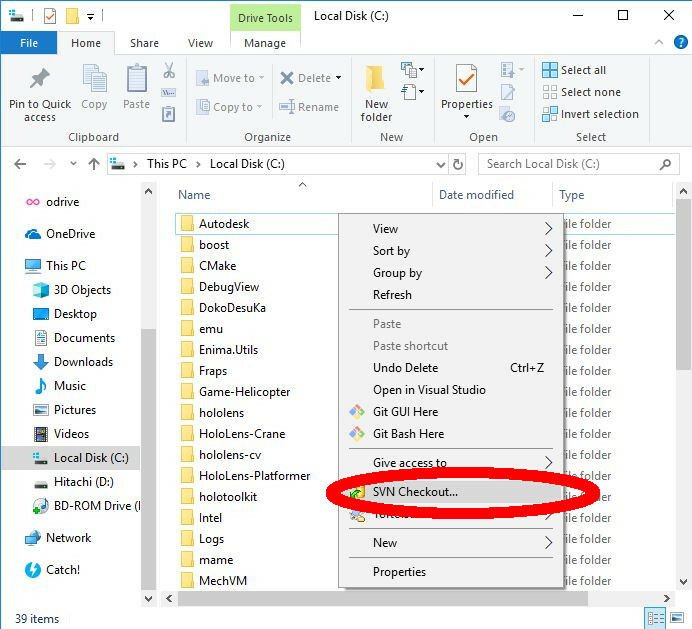 Notice in the image below that the C: drive can be accessed through the left navigation pane. It is labeled Local Disk (C:). Click on it to view its contents. Click OK to perform the checkout and the download will commence. Once finished, the current revision number will be printed and you can click OK to dismiss the window. The latest Supermodel source code is now in your hands! Let's compile it! Follow this procedure whether checking out a fresh copy of the source code or after updating to the latest revision. 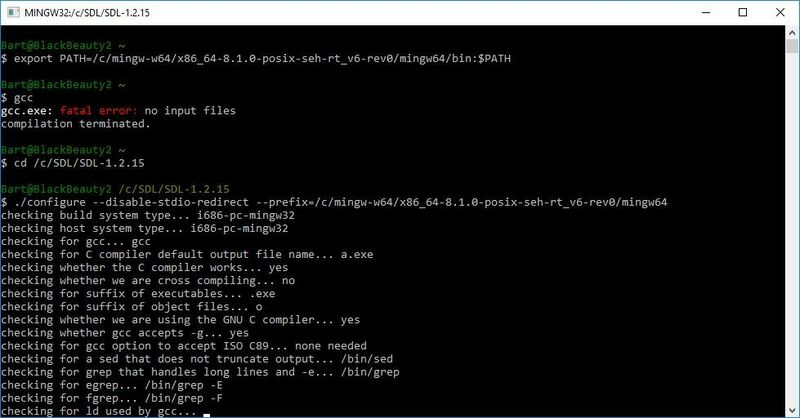 As before in Steps 1.5 and 1.6, open the MinGW-W64 command prompt window. If you have just checked out the source code for the very first time, this command will print an error that can safely be ignored. The make program will begin to compile each of Supermodel's source code files. After several minutes, supermodel.exe will be produced (linked). You can find it in C:\model3emu\bin64. To use it, copy it back to either C:\model3emu or, preferrably, a dedicated Supermodel directory. NOTE: When you try to run Supermodel, you will likely encounter an error involving SDL.dll being missing or invalid. 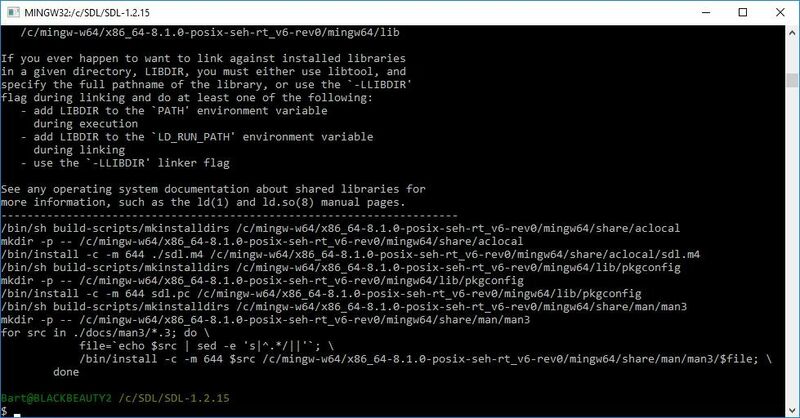 Copy over the SDL.dll installed in C:\mingw-w64\x86_64-8.1.0-posix-seh-rt_v6-rev0\mingw64\bin. CONGRATULATIONS! You have compiled Supermodel from the source code all on your own! To update the source code to the latest revision, follow these steps. Note that sometimes, code check-ins can break Supermodel and either the program will no longer compile or will function incorrectly. Needless to say, make backups of Supermodel.exe if this is a concern. 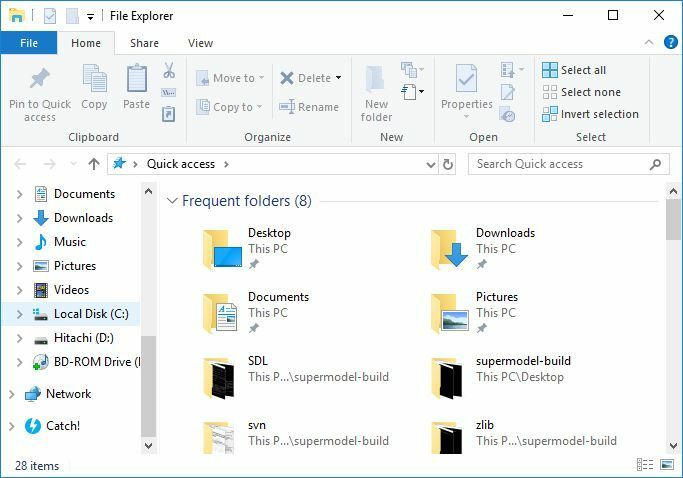 Open up your C: drive in File Explorer and locate (but don't enter) the Supermodel source folder that the code was checked out into in Task 6 above. It should be named model3emu. 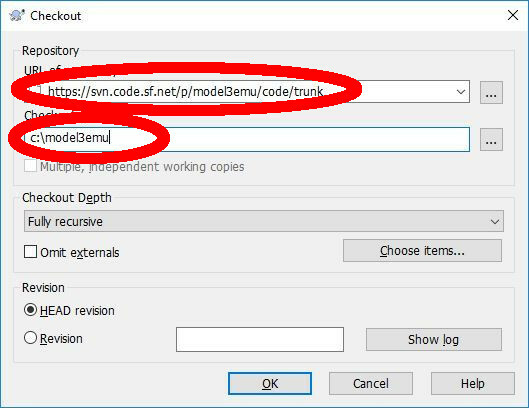 Right click on the model3emu folder and a context menu will appear. 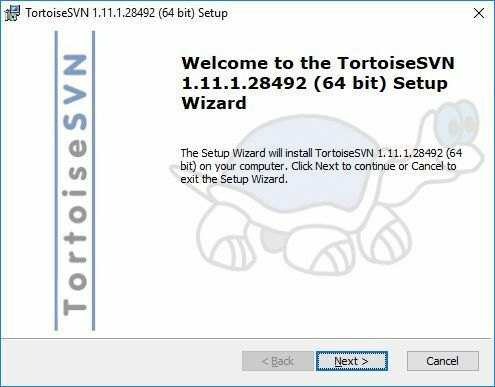 There will be an SVN Update option. Select that. 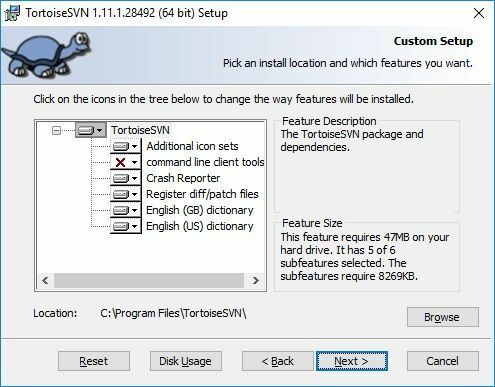 TortoiseSVN will update the source files to the latest version. That's it. Now simply repeat Task 7 to compile Supermodel. Copyright 2011-2019 by Bart Trzynadlowski. Supermodel is neither affiliated with nor endorsed by Sega Corp.